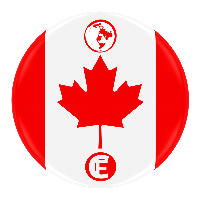 You are able to join virtually the excitement of Flat Earth International Conference (CANADA) 2018 LIVE STREAM. Watch a high quality LIVE video stream brought to you by Flat Earth International Conference. Enjoy, interact and watch the live feed from any of your internet connected devices. On Aug 09, 2018 9:00 MDT to Aug 10, 2018 18:00 MDT you will come back here and watch the show LIVE!! The Flat Earth International Conference team will be providing a video on demand replay of this event within the next 24 hours after the completion of this event to watch at your convenience. On behalf of Flat Earth International Conference Cleeng teams provide support before, during and after the event. Due to high traffic just before and during the event, critical requests will be handled first, so please moderate your questions and only send if very urgent. Please try not to send multiple requests.